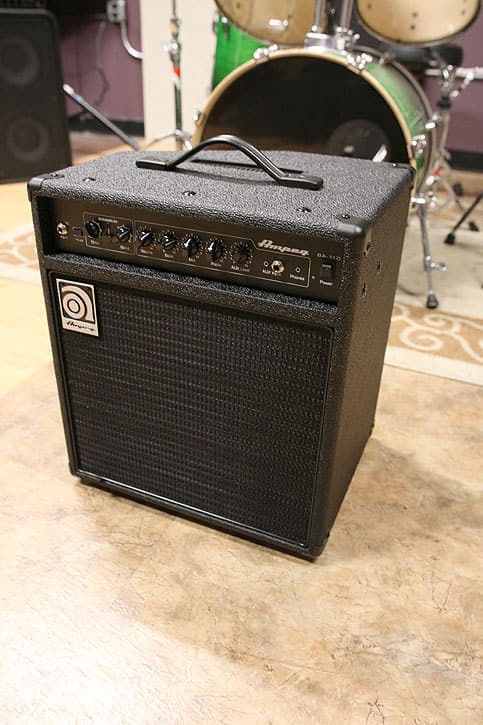 Looking for the ultimate bass practice amp that won’t break the bank? Look no further. 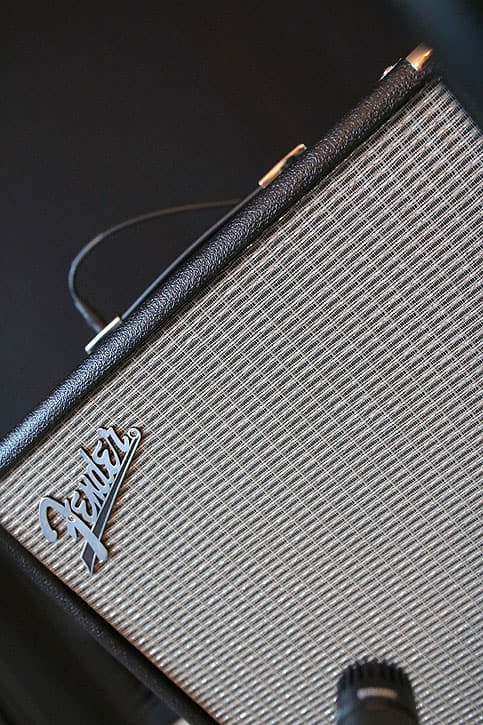 We scoured the planet in search of a practice amp that could deliver killer tone, plenty of punch, and is portable enough that you don’t need an army of roadies to move it. 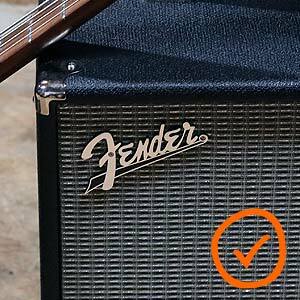 We found 5 contenders and then put them head-to-head to find the ultimate practice amp under $300. Jump to the final verdict and the winner click here. 1. $300 Maximum Price. Our objective was to find an affordable amp that would allow beginners to get a start in the bass world, without having to sell a kidney. $300 was the price limit for this group review. 2. Combo Amps Only. 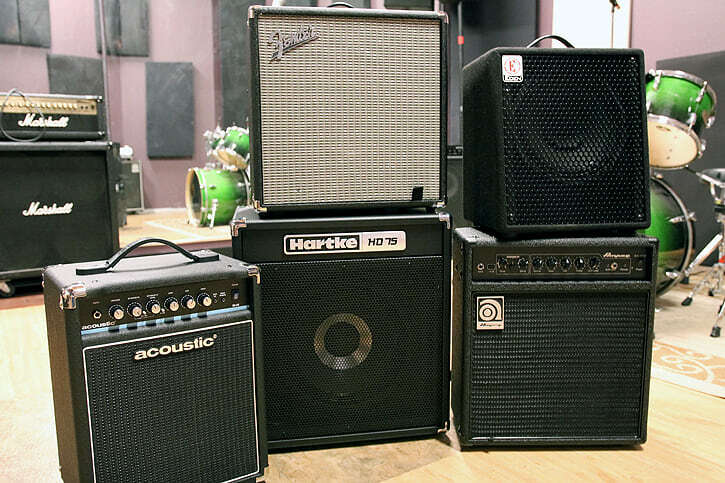 Then, we looked online and found all the bass combo amps. 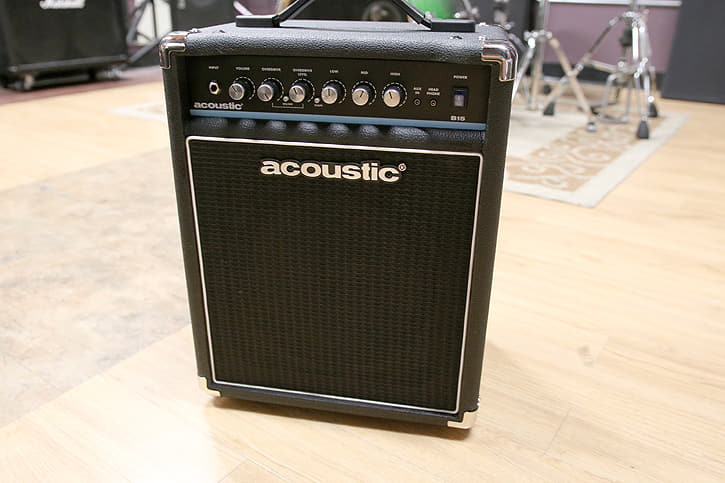 A combo amp is an amplifier and speaker cabinet integrated into a single unit. 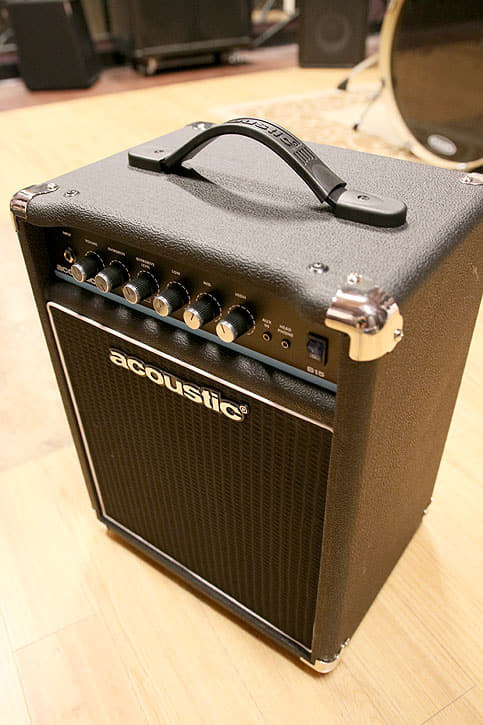 The alternative to a combo is an amp head and cabinet as two separate units. We opted for combo amps only as they are typically the more affordable, convenient, and practical option for beginners to get started with. 4. 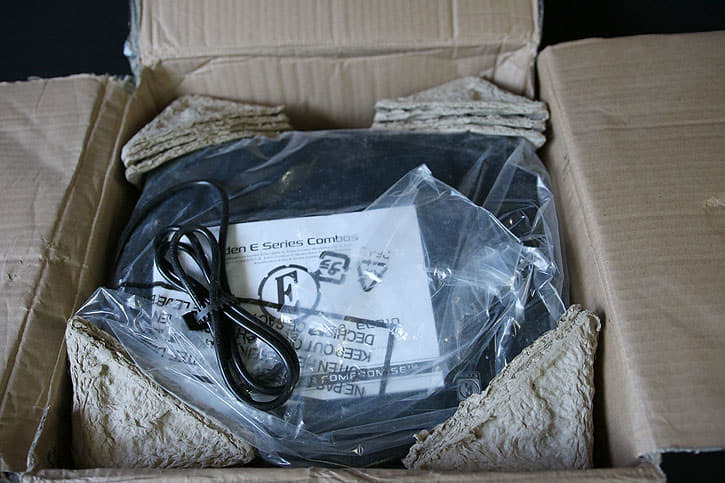 Minimum 10″ Speaker. We decided to only look at amps that had a 10” speaker or bigger. 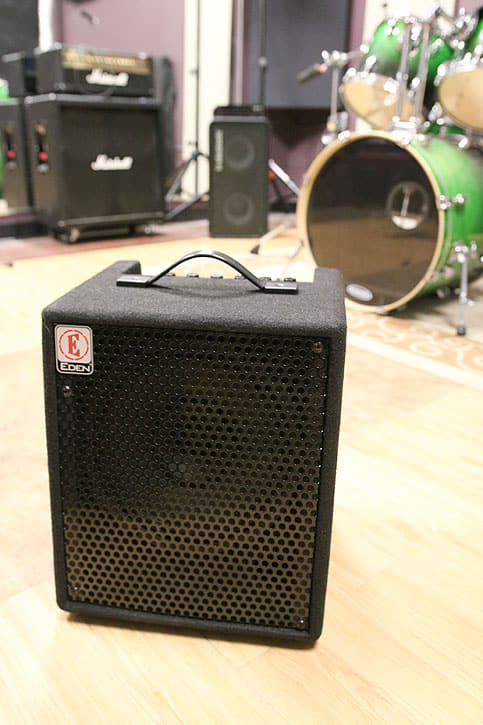 A lot of cheap beginner bass amps have an 8” speaker or smaller and, in my opinion (and other pros I consulted) a single 8” speaker cannot reproduce bass well enough, at least not in this beginner price range. 5. A Dash of Gut Feel. Finally, we considered existing online reviews, brand reputation, and some intuition to cut the list down to our top five. 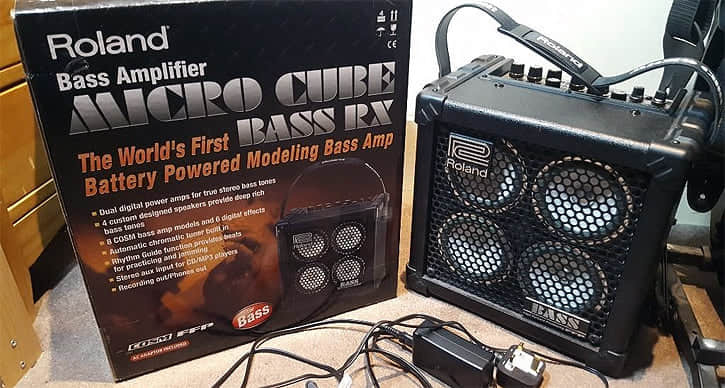 Just to test my theory that small speakers can't deliver a solid bass, I spent some time with a Roland MICRO CUBE BASS RX, one of the more expensive practice amps in this price range that has four 4” speakers. While the tone is fine and there are some cool features, the volume is completely wimpy. 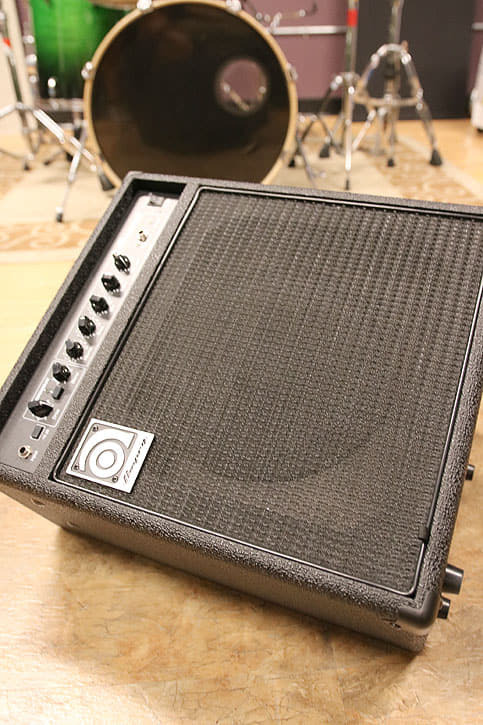 A good bass amp will give you low frequencies that you can actually feel, and I have yet to hear an inexpensive amp with a small speaker that sounds like a real bass amp. Reviewing these amps was a pretty simple process of spending time playing through each amp and fiddling with knobs. I spent most of my review time playing my active Peavey Cirrus bass through all five amps, but I also tried a Squier Jazz bass from our bass reviews to see how a passive instrument would sound. 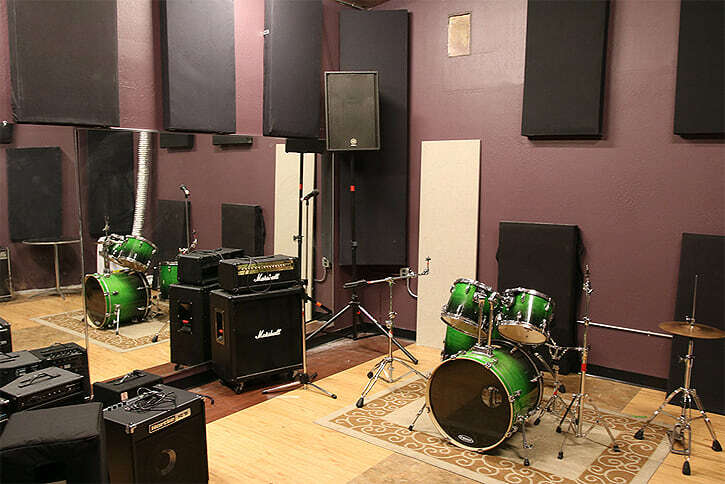 I listened to the amps in my small studio room where I filmed the reviews. 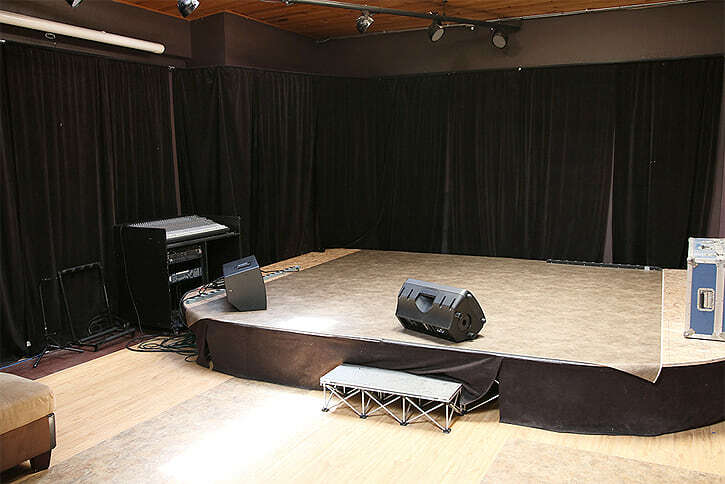 I also took them to a local rehearsal space where I could hear them in a larger room with a higher ceiling. Could a Compact Amp Handle a Bigger Space? In both rooms I brought along my TC Electronic RH450 head with RS210 cabinet as a higher-end reference rig. I wasn’t expecting these cheaper amps to sound as good as the TC rig (with a value of around $1,400), but it helped me establish a tone and volume baseline to compare each amp to. How Would Sub-$300 Amps Compare to a $1,400 Rig? 1. Tone. I listened for how good the amp sounded with all the EQ flat, and how versatile it was in terms of offering me tones that would work in different musical genres. 2. Volume. 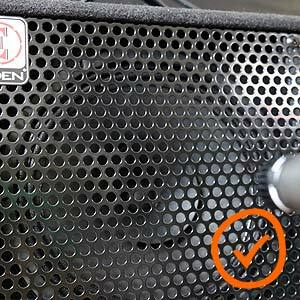 Here I judged the amp’s loudness, and particularly how much “body” or bottom end it put out. I also listened for amp hiss that might be unpleasant for a practice room. 3. Features. 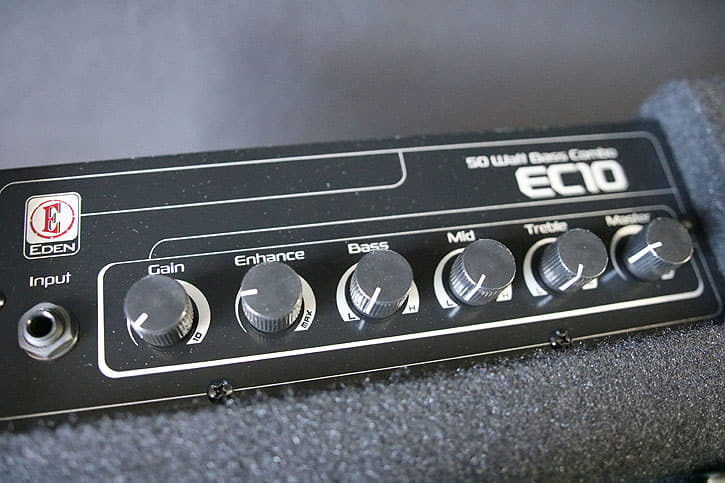 This rating was based on what features the amp had (how many EQ knobs, direct out or not, any other cool stuff), as well as overall ease of use. 4. Construction. I looked at weight, how easy it was to carry, and how sturdy all the components felt. I roughly averaged these four ratings to give each amp an overall rating, keeping in mind that Tone and Volume are the most important criteria. 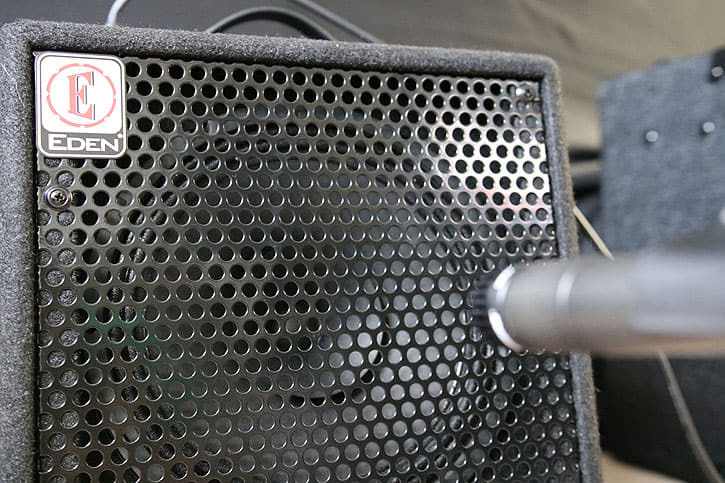 Audio for Video Reviews: I plugged my bass directly into the amp and recorded the amp with a Shure SM57 microphone 6 inches away from the center of the speaker cone. The microphone ran straight into my Audient iD14 digital audio interface into Logic Pro. First, I made sample audio recordings of bass riffs using my Peavey Cirrus bass (pickups balanced, onboard EQ flat) recording directly into the Audient (24-bit recording at 48Khz). Then I played the recorded sample riffs through each of the different amps while recording the sound with the SM57 six inches from the speaker cone (pictured below). I tweaked the amp volume and EQ to make them all sound as good as I could. Note that everything was bounced from my recording software (Logic) with absolutely no EQ, compression, or processing on the software side (besides normalization). What you are hearing is exactly what came into the microphone from the amplifier. This isn’t standard recording procedure - normally you would use compression and EQ to improve the sound - but I chose to go this route to offer you maximum clarity in listening to the differences between the amps. 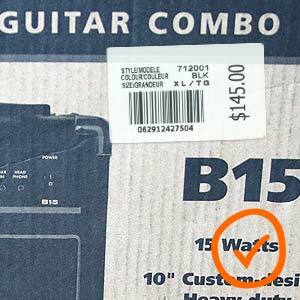 VERDICT: You definitely get what you pay for – this being almost half the price of all the other amps I reviewed, results in a lot less possible volume and low end, but still plenty for practice purposes. The higher wattage B30 might be worth checking out if you like the sound of Acoustic amps and want something that could work for a mellow rehearsal or gig (no rock drummers or big distorted guitar). I would definitely use this as a practice amp, but that’s about it. 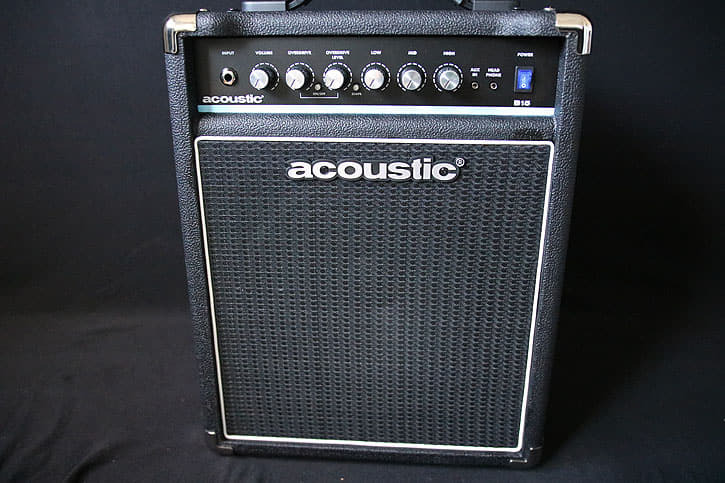 This amp jumped out to me because it was the only amp at this low price that had the 10” speaker I was looking for, and Acoustic has a good reputation for their bass amps. Here’s how it stacked up. The flat EQ tone sounded good and balanced. Pushing the bass knob up and mid/treble knobs down lends a mellow, vintage-y tone that will work fine for practice, but it’s lacking the big low frequency response that comes with more wattage. There’s plenty of top end available on the mid/treble knobs for aggressive rock tones, with or without the Shape engaged. I couldn’t find a sweet spot for a punchy funk tone; the mid knob didn’t find quite the right frequency. This amp had a decent amount of volume, considering the size and the wattage. But even with the 10” speaker, this amp is still missing that special sensation of “enough low end.” Obviously, with only 15 watts, it has much less power than the other amps (at a $80-100 difference). I could only push the volume knob to about 4 with my active bass before I got serious distortion. I still found it enjoyable for low volume practice use though. 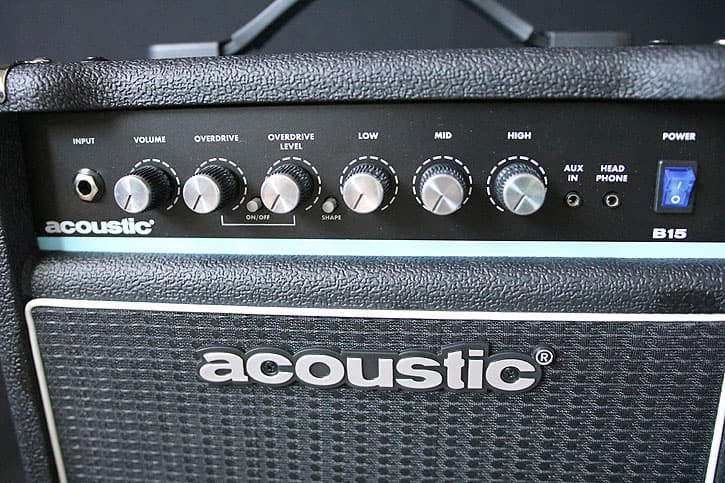 For a practice-only amp, I like the simple features and don’t mind the basic 3-band EQ. The overdrive and shape functions sound good to me, although I personally don’t use them for my particular playing style very often. There’s a headphone jack and an aux in for playing along with music, and everything’s on the front of the amp which makes it easy to access everything. If I had my druthers, I would ditch the overdrive and switch to a 4 band EQ with low mid/high mid options - we’re bass players, we don’t need amp distortion that badly! The enclosure feels super solid. 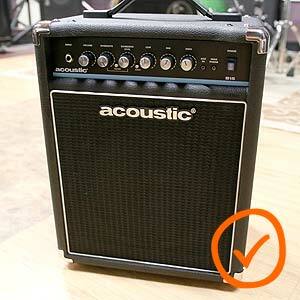 I don’t like the fabric speaker cover; metal grills are more durable, but for a practice amp it doesn’t really matter. The knobs feel solid. At 23lbs it’s not the lightest option for the amount of volume and wattage you get, but still comfortable to carry one-handed and not too bulky. VERDICT: I was really surprised to be so disappointed with this amp. 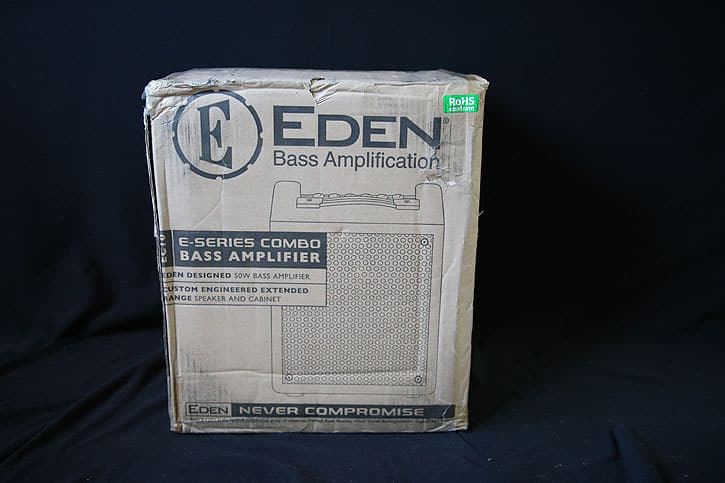 I’ve loved all the higher-end Eden rigs I’ve tried over the years, this just didn’t have enough low end to qualify as a decent bass amp in my reckoning. Eden has made some great amps over the years. Let’s see if this is one of them. The default sound with flat EQ is very clear and crisp, lots of upper mid and treble, and pretty darn thin. 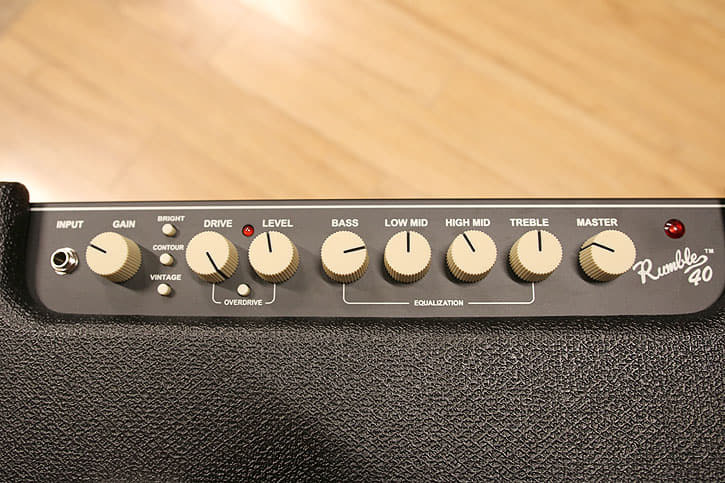 I’m wishing there were two knobs for the mid-range to dial down the high mids without losing treble or low mids; there’s some harshness I wanted to get rid of. It was easy to dial in a nice funky punchiness by boosting the mid knob. No problem getting a nasty rock tone with the naturally crisp sound of the amp, I just rolled up the Enhance and some treble and I was ready to cut through a wall of distortion (if said distortion was playing very quietly). I found it challenging to get a bassy vintage sound without making the speaker clip. The overall volume capacity of this amp was okay, but I was really bummed at the lack of bottom end. Even when I rolled the bass EQ knob up almost to the point of distorting the speaker, it still felt weak and thin when I compared it to the other amps. I took this amp on an upright bass gig as an onstage monitor. The upright bass pickup I was using is naturally very boomy and lacking definition, so the super bright sound of this amp worked okay but, even then, I still rolled the treble down a bit. I liked the Eden’s interface. Everything was easy to find, there were no unnecessary features, and I like the center detent on the EQ. I didn’t love the scoop range of the Enhance knob. Besides the usual headphone and media jacks, there’s a Tuner Out which is handy. 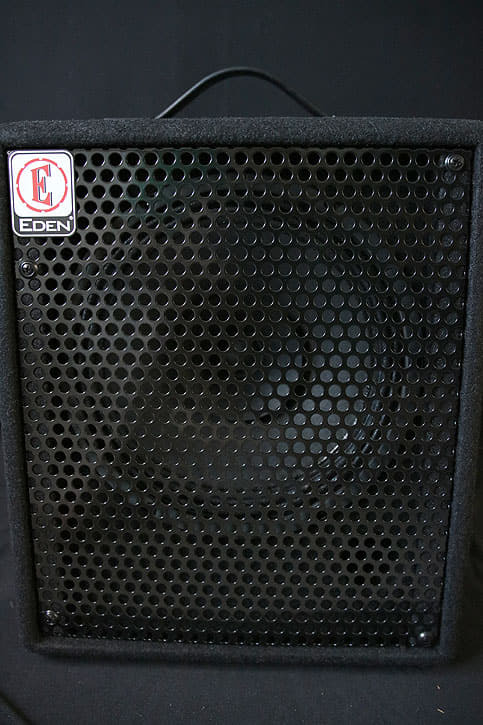 The Eden is solidly built and very compact but, at 24.2lbs, it feels really heavy for the size! I like the metal speaker grill, it looks and feels professional. The knobs are good quality. VERDICT: I wanted to like this amp. 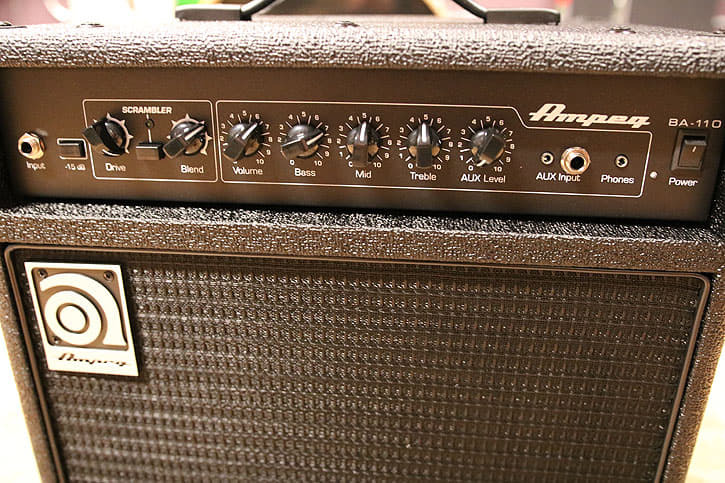 Ampeg makes some great stuff, and I did like the natural tone of this amp with all the knobs flat. However, because it was lacking treble, I didn’t like the distortion, and the construction quality wasn’t as high as the other amps. 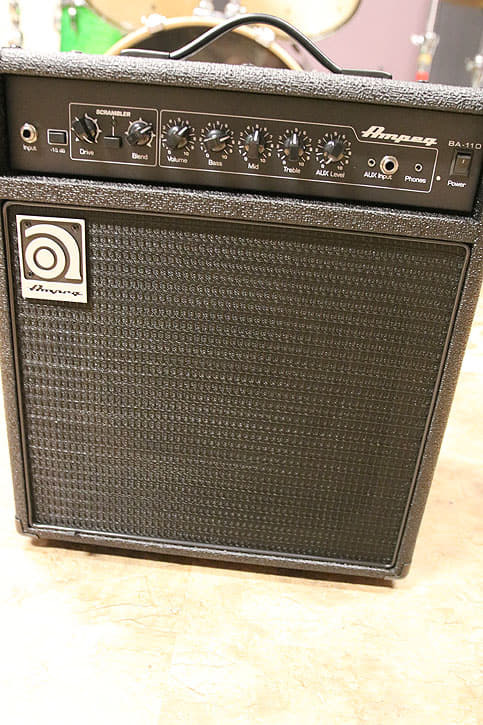 One of the titans of bass amp history, Ampeg is well known for their big heavy amps from years past. I’m always happy to find an Ampeg 8x10” cabinet waiting for me on the backline of a gig. Does this BA-110 combo amp have that star quality? I really liked the tone with the EQ flat. It sounded like the mids were “scooped” a little bit naturally, it felt balanced with fingerstyle, and sounded surprisingly good with slap. I could dial in a good amount of bottom on this amp without getting distortion. I think the -15dB pad may have helped there. However, I found the treble capabilities of this amp really lacking. Even with the treble knob cranked all the way and mids boosted a bit I couldn’t get a really bright sound, so this amp would have limited use for aggressive rock styles. I also couldn’t quite get the punch needed for funk or jazz. I was not impressed with the volume output. 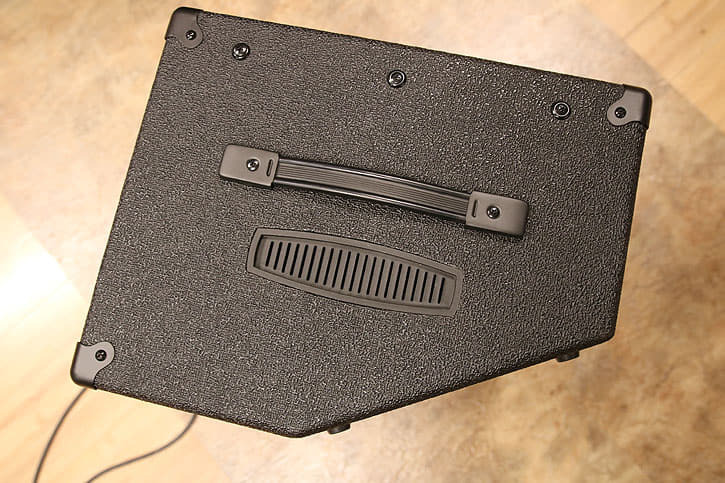 It wasn’t terrible, but I couldn’t get as much loudness or body as I could on the only slightly more expensive Fender Rumble 40 we’ll look at below. I did not dig the Scrambler distortion, it sounded more like “my bass is broken” distortion than “I am rocking out” distortion. I loved the -15db pad switch for active instruments, it’s the only amp I looked at with that feature. There’s an AUX level knob, which I didn’t understand the point of, since almost any modern device you’d use to send audio to the AUX in would have its own volume options. That real estate could have been used for a gain knob, a 4th band of EQ, or even just left blank for a simpler interface. I experienced some initial rattling, which cleared up when I tightened a couple screws on the side of the cabinet that had come loose. There were no further issues. This enclosure felt the least solid of all the amps; there’s a vent on the top around which I can hear some wood creaking if I put some weight on the amp with my palm. The tiltback feature is cool but I found their manner of execution confusing, since it requires reorienting the amp in a way I’ve never seen before. VERDICT: Bummer. I didn’t like the sound, it weighed a ton without giving much more sound than the Fender, and the loud amp hiss would make it an annoying choice for a practice amp. 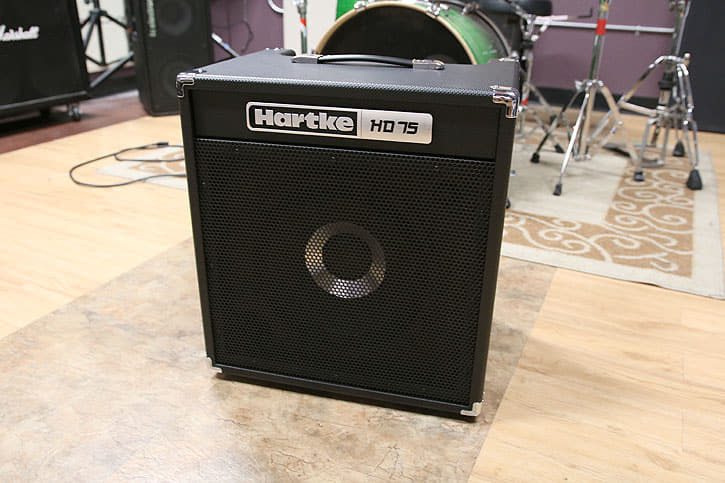 I wanted to include an amp from Hartke in our lineup because some of my favorite bass players (including Stu Hamm and Victor Wooten) use Hartke. I’ve had a few bad experiences with older Hartke amps in the past, but I thought I’d get one of their new combos and see how it stacked up. Since I decided to try the HD75 over the HD50 (which is the same price as the Fender and Eden combos), I was expecting the HD75 to put out more volume. Let’s see if we got it. With all the EQ flat, my first impression of the tone was something along the lines of “bleh”. It was hard for me to identify what I was noticing - maybe some muddiness in low mids? - but the sound just didn’t speak to me. With all the other amps, I was able to get at least a few decent tones, but this one left me totally stumped no matter how much I fiddled with knobs. The HD75 definitely had the most volume capacity of any of the amps by a noticeable amount. That said, I didn’t feel like I got more bottom end, just more loudness. I also had trouble finding a sweet spot with the gain level on my active bass, it seemed like the amp could really use a pad button like the Ampeg had. Even at low amp volume, if I had my bass volume maxed and played hard, I could hear amp distortion. The issue was improved by switching to a passive instrument, but it was still too easy to overdrive the speaker for my liking, especially since I expect more volume and bottom from a big speaker with more wattage. This amp had by far the most hum and hiss just from being on, way more than my much more powerful 450W TC Electronic reference rig. 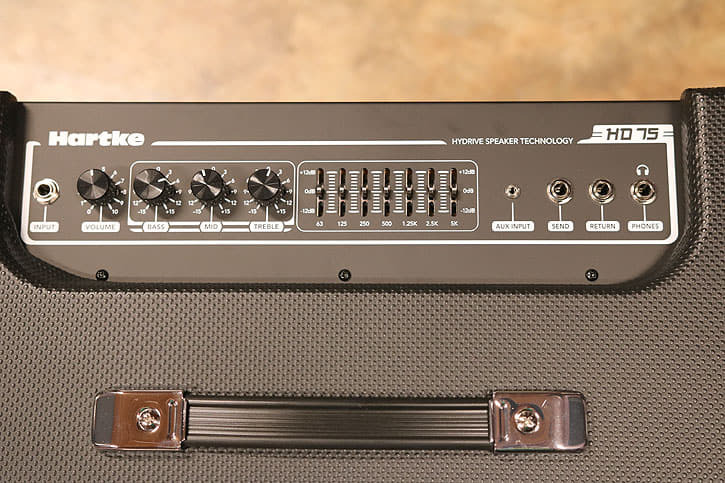 I have to admit, I’ve never liked Hartke’s 7-band graphic EQs. Even with all my years of experience, I still find them overwhelming, and I can only imagine a beginner trying to dial in a tone with that many options. And, for the price, I would hope for a direct out, since this amp is big enough to use on a small to medium gig. Something started buzzing inside the amp at higher volumes. 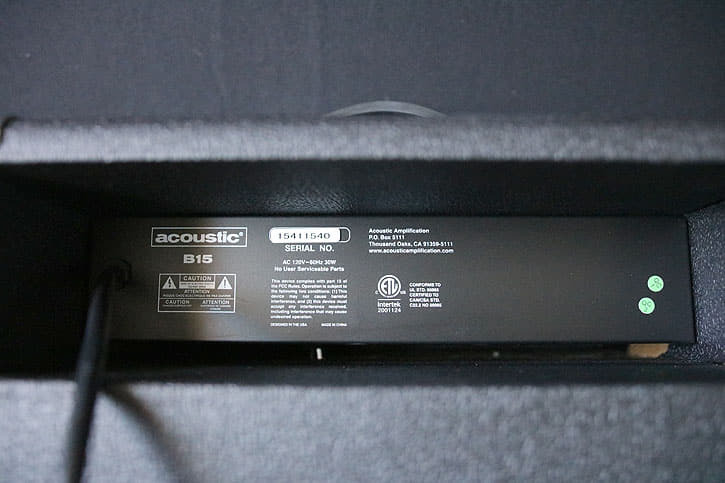 I couldn’t figure out what it was without completely taking the amp apart, but I found it frustrating when trying to rock out at a higher volume in the big room. Also - this thing weighs 52lbs. Not cool! 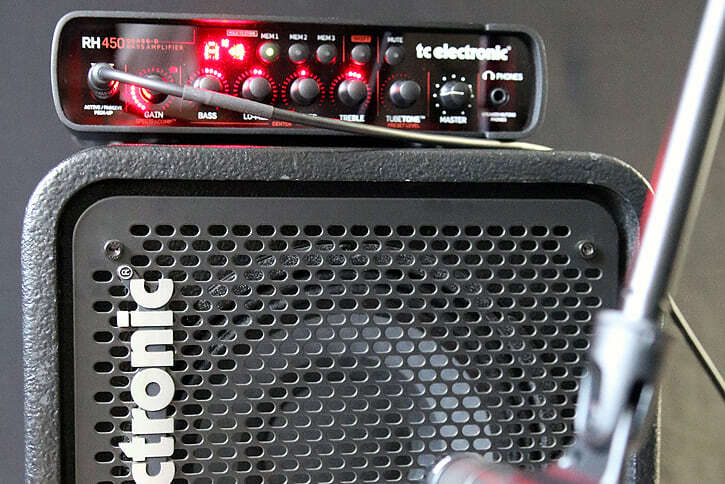 For an amp designed to handle a “rehearsal space or small performance venue,” that is way, way heavy. VERDICT: I love this amp. Of all the five amps I chose, this is actually the one I was least expecting to love – I’ve owned a couple Fender amps in the past and didn’t really like them. 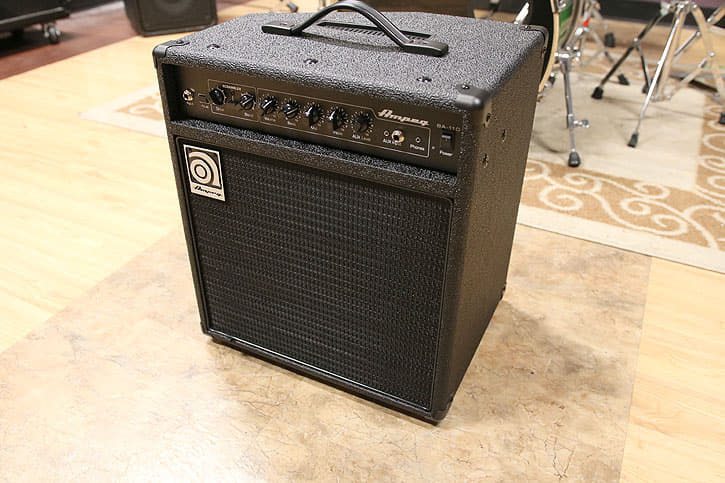 But the Rumble 40 had great tone, cool features, and it only weighs 18 freaking pounds. 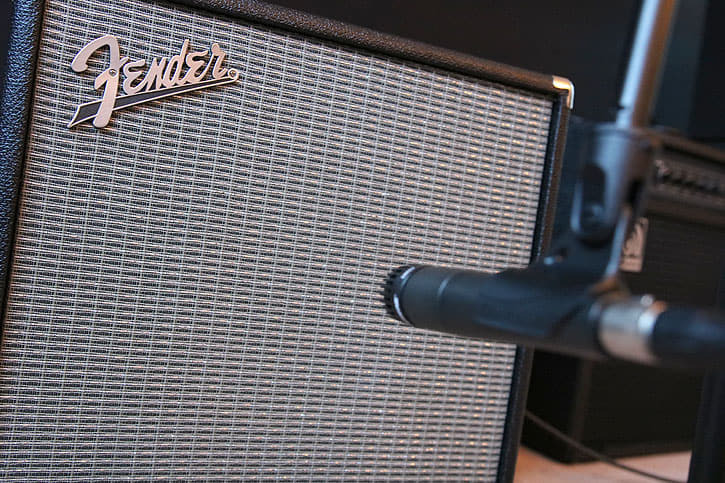 Without a doubt, the Fender Rumble 40 is the best amp we looked at, whether you just need a lightweight, good sounding practice amp, or something to take on a small gig or rehearsal. We’ve seen some disappointing amps so far. Can Fender turn it around? This amp sounded great. With the EQ flat, it felt a tiny bit muddy, but dipping the low mid knob down a hair took care of that. I was expecting not to like the Bright/Contour/Vintage buttons, thinking they would be gimmicky, but I actually found them to be a quick and functional way to get exactly the sounds described on the knob. Bright gave nice crystal clarity. Contour gave a scoop that sounded great with slap. Vintage mellowed the tone out in a way that would sound good for Motown, soul and the like. I had fun combining them too - Contour and Vintage together was fun for an undefined reggae sound, especially with the treble down as well. I like the amp’s distortion. Even cranked all the way I didn’t totally lose the bottom end and I liked how it crunched. The only tone I felt I was missing from this amp was the perfect punchy funk tone. I tried rolling the low mids up to get it, but the frequency range was more in the realm of muddy than punchy and, without a mid knob hitting the right frequencies, it’s hard to dial that sound in. The Rumble 40 put out very satisfying body and volume for practice. It was definitely adequate for a drummerless gig I took it on, but throw in some drums and distorted guitar and you’d have no chance. It does have a direct out though, so the bass could run through the PA at a larger gig. This amp had a lot of cool features, as described above. The Gain and Volume knobs don’t work the way I expect them to do; I still get volume with the gain at zero, which was a little bit confusing. The center detent on the EQ was a nice touch. The direct out is cool, but since the gain and master volume both come before the direct out in the circuitry, it’s not quite adequate for full professional use in my opinion (unless you really don’t touch your bass or amp volume during a gig). I am consistently blown away by how lightweight the Rumble 40 is for the size - only 18lbs. It feels extremely sturdy - I was comfortable sitting on it at the gig I brought it to. The fabric speaker cover is the only thing that seems cheap; there are already some imperfections in the fabric. I would prefer a metal grill, which I can’t imagine would increase production costs or weight significantly. The amp head gets noticeably warm after being on for a while, not dangerously but I wonder if they could have covered it a little more. 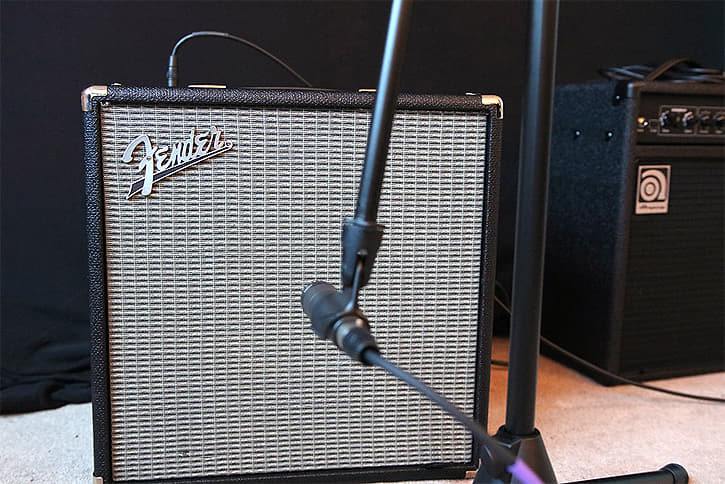 Hear the tone differences of each amp for yourself by comparing the audio samples below. Cheapo computer speakers or phone speakers will likely be too limited in range to hear the differences clearly. Use speakers or headphones with a decent range and volume. For more details on how I recorded these audios see the “How I Recorded the Amps” section in the intro, above. Remember that when you’re listening to these, you’re hearing tonal differences, but they don’t accurately indicate the important differences in volume capacity and body that you would feel in the room with these amps. 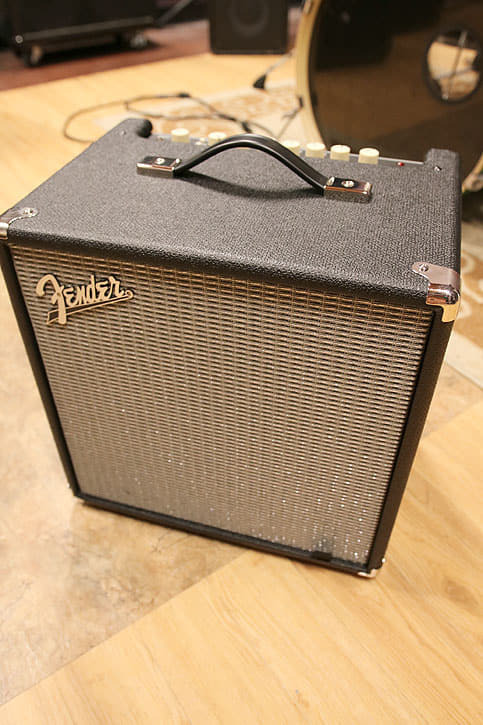 The Fender Rumble 40 was by far the best amp out of this bunch in terms of volume, functionality, weight, and overall value. No matter what kind of bass or style of music you want to play, this little combo will work perfectly in a practice context. Looking for a bass guitar too? 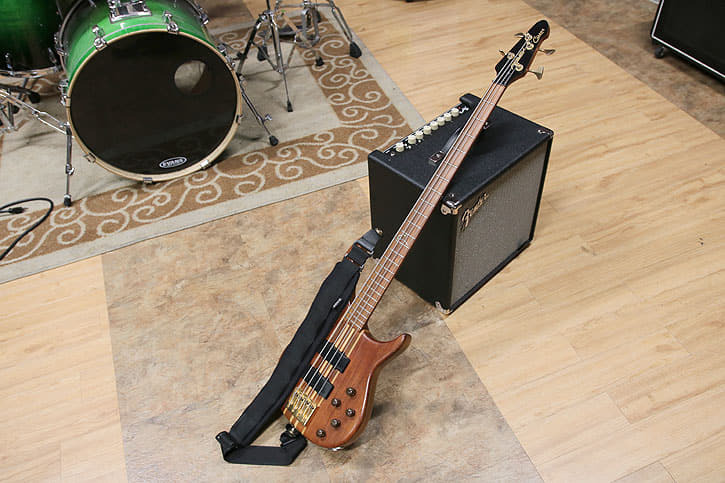 Check out our Beginner Bass Showdown. 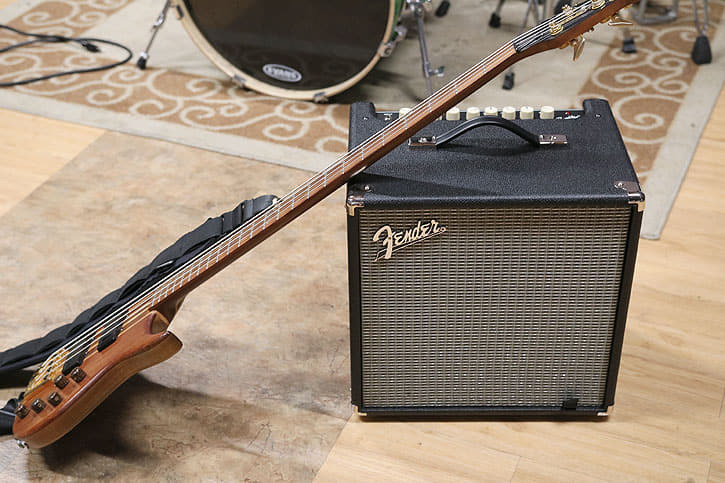 Pair the winner of the bass guitar showdown with the Fender Rumble amp and you’ll have a kickass combo. But again, haven’t reviewed the whole market, so that’s not necessarily a “recommendation,” just something I have that works adequately. 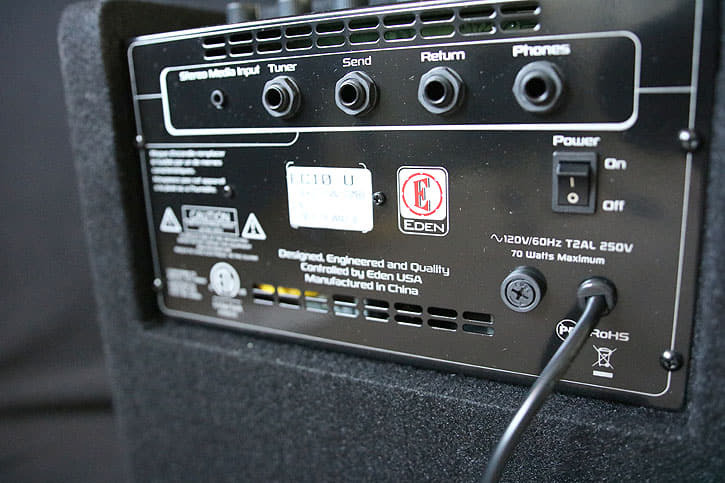 Also in case I didn’t make it clear in the article/video, most practice amps do have a headphone jack so you have a headphone option even with an actual combo amp. What I especially like in this type of box is the Korg Pandora bass. The original version (PX3B) even more than the updated PX4B version. They were replaced by the PX5D which covers both bass and guitar, then by the Pandora mini and Pandora stomp. But it seems these are only to be found second hand these days. Thank you Josh for the no B/S reviews on both the Bass guitar and practice amp. I will try and find those products in Australia. 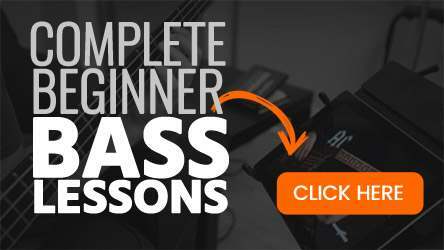 I am looking to join your online beginners course for the Bass guitar. Keep up the good work Awesome Mate. Many thanks for this deep test. 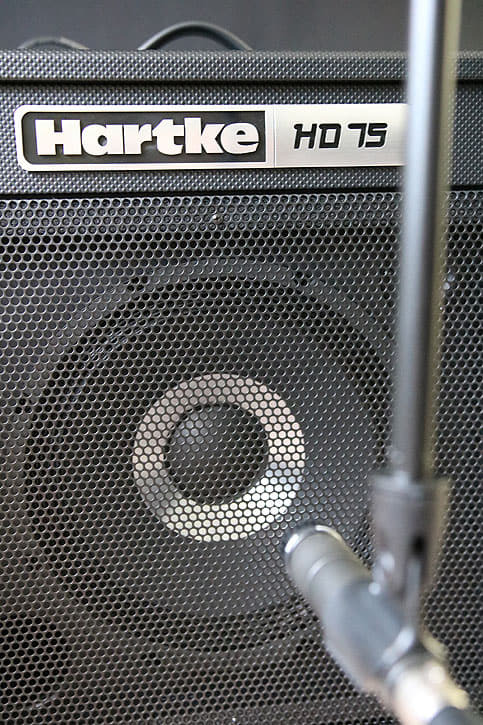 You avoid me to buy a Hartke “Bummer” HD75. 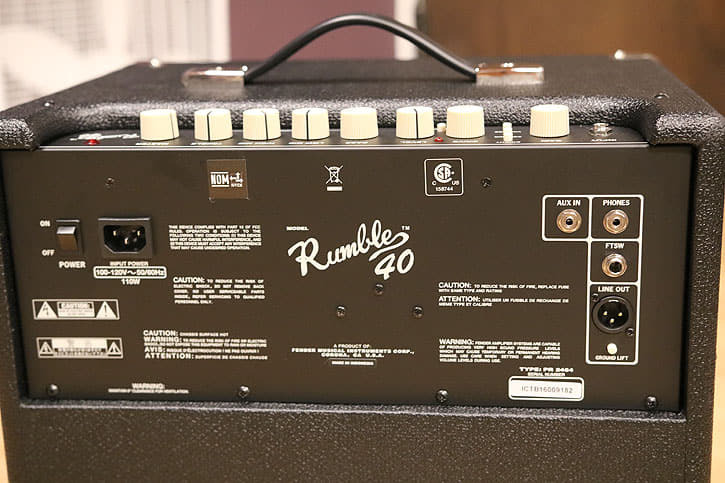 But I want to buy now a Rumble 100 V3, which is a little bit different than the 40. So anybody has bad experience with this bigger version? Many, many thanks for your reply, but i was very impressed by your TC rig’s sound (I didn’t know this brand before) and look forward TC stuffs. And found the BG250-112 which only 20 percent more expensive than the Rumble 40! (and 9% to Rumble 100 and 40% to HD75…) Its probably not so good like your pro combination but i hope will be good enough for a dilettant amateur like me. And it has funny features. So thanks again for all your help. Nice! The BG combo will be a great amp for you. Hey John! I’m not sure I understand your question about adjusting the tone knob? If it’s a passive tone knob, then rolling it one way will give you more treble response, and the other way will make your tone more dull and bassy. Turn to taste depending on context. Hey Kirsten, I haven’t tried those specifically. I would recommend against the Crush 25 just because it has an 8″ speaker, which in my experience is too wimpy to get a good bass feeling in the room. 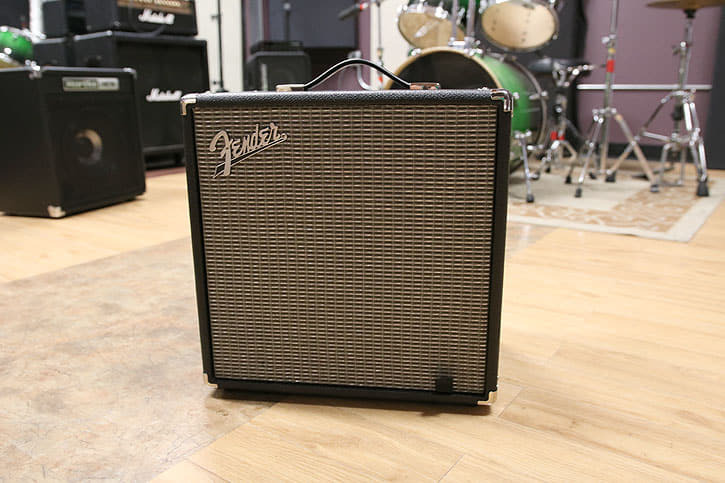 The Crush 50 looks decent but $300 is pretty expensive for a beginner practice amp, considering the Rumble 40 I reviewed is only $200 and would probably do the job just as well. Hope that helps! I have both the 25 and the 50. They both sound great. If you’re going to get an Orange go with the 50 I grew out of the 25 pretty fast. With all due respect to Master Josh, the Crush 50 is the amp I recommend whenever asked. Very Informative review without the BS opinions. Cheers Josh. I will be buying the rumble 40 for sure. Bloddy good job mate. Thanks Scott, glad I could help! 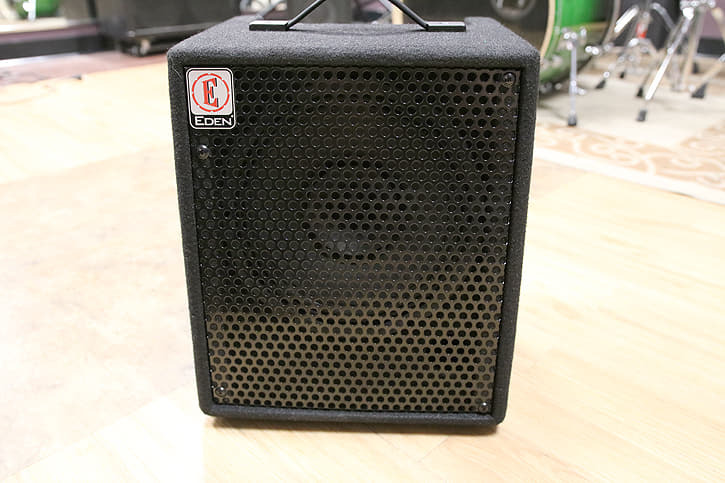 I bought an Orange Crush Bass 50w 1×12 Combo off of Reverb for 210 shipped. I would honestly . say it’s the best small amp i’ve ever owned and well worth the money. Glad you’re digging it Sean, that’s a solid deal!